DLNA have released a set of interoperability guidelines for networked equipment that can play premium pay-TV content, whether live or recorded across the home network while keeping it secure. This is based on the DTCP-IP link protection protocols so as to protect the content from being re-streamed in an unauthorised manner. These guidelines will lead to the acceleration of the “AllVid” initiative that has been put forward to the FCC by the likes of Sony and TiVo. This is a way of providing an open scenario so that people can use equipment they have bought with their pay-TV services in the US rather than having the TV just become a display for their set-top box leased from the cable company. The idea behind tis concept is that there is a “gateway” device that connects to pay-TV broadcast services like cable, satellite or IPTV. 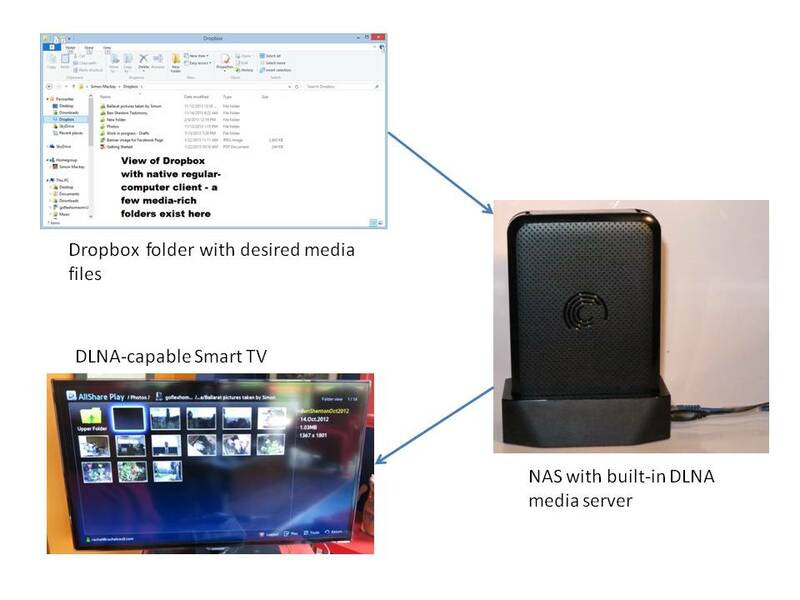 This device connects to TVs, set-top boxes and PVRs via the home network using DLNA-specified technologies and is responsible for bridging the broadcast content to the home network as well as managing the access-control to the premium content on the pay-TV service. If it receives broadcast content from terrestrial, cable or satellite services, it would use one or more RF tuners and circuitry to present the broadcast channels as network streams as well as authenticating and authorising the pay-TV content. On the other hand, an IPTV setup which connects to the home network would simply authenticate the content and present it across that home network. It also will provide for situations where the user may change to a different pay-TV service that uses different technology or move to a different area that uses a different pay-TV service without losing their investment in their equipment. The first main implementation would be cable-TV systems that are based on the OCAP-compliant “Tru2Way” platform. These will have a regular set-top box with separate security measures that can work across the different cable-TV setups. As well, they would be a DLNA server that works to these guidelines, providing the channel lineup that the customer has subscribed to as well as programmes recorded on this set-top box to the compliant TV equipment. The main difference between these setups that one should know is the kind of “skin” that is expected on the user interface. The “AllVid” user interface is expected to have the viewing device’s branding like Sony’s XrossBar rather than the media-provider’s. Conversely the Tru2Way platform is meant to have support for the content provider’s or service provider’s “skin”. This also includes the creation of DVD-style menus and user interfaces along with the enablement of full interactive television apps like voting up that favourite dancer or singer on that talent-quest reality show. A good question that hasn’t been answered so far is how this will enable the initial purchase of “pay-per-view” content. Most pay-TV operators run one or more pay-per-view content services, either in the form of one or more broadcasted events that is sold in this arrangement or a “movie-on-demand” or “virtual cinema” service with a few of the latest blockbuster movies shown across multiple channels. The current problem is how can a user instantiate a pay-per-view content purchase in one of these setups using the TV’s remote control; and seeing it through so that the content is available and duly authorised. This includes allowing the account owner to place controls on what pay-per-view content can be purchased in their home. Also, customers need to have something to look for when they purchase TV equipment so that they are sure that the equipment is compatible with DLNA’s premium-content requirements. This could include a “super-logo” that is exhibited on compliant equipment, with the equipment having to support the DTCP-IP functionality as part of this functionality set. The other factor that needs to be looked at is whether this DLNA premium-content-handling functionality can be brought to existing DLNA-compliant hardware such as the current crop of Sony and Samsung TVs through a firmware upgrade; or whether they would need to replace the existing hardware to gain this functionality. This will be more important with TV sets as people who upgrade TVs will end up deploying their existing sets to other rooms of the house or to other locations. At least the use of DLNA technology and the extension of broadcast-content-protection methods to the network could make it easier to allow flexible equipment setups in most mainstream viewing applications.